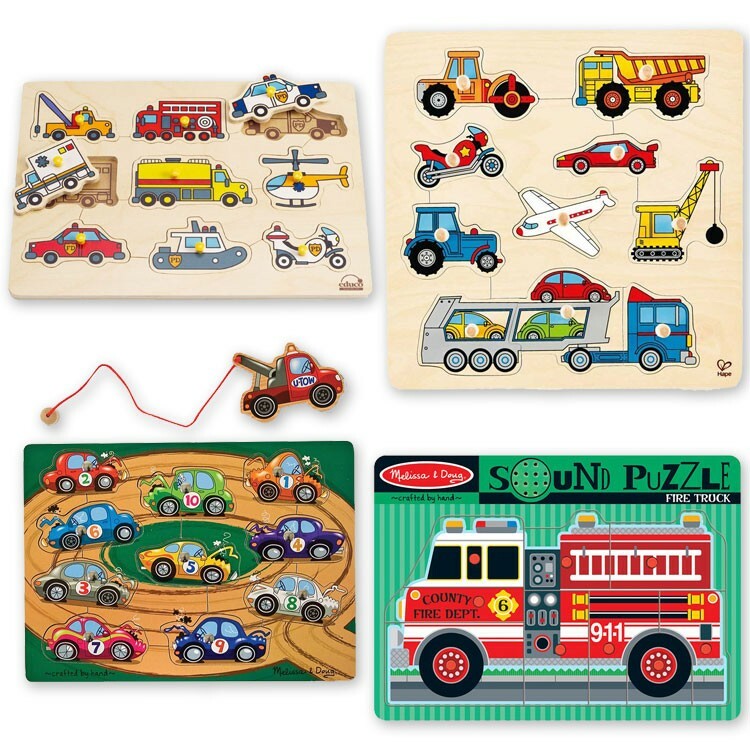 Whatever vehicle your child likes - from racing cars to emergency vehicles - our 4 wooden puzzles collection brings them all! This first wooden puzzles set is your little vehicle lover's perfect gift! 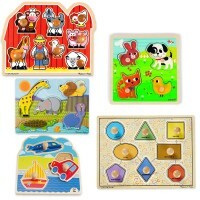 Vehicle Puzzles 4 Wooden Puzzles Kit for 2-3 years is an Educational Toys Planet's first vehicle puzzles collection for toddlers and preschoolers. 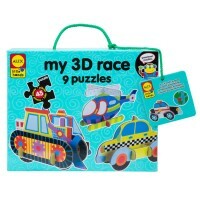 Whatever kind of vehicle your boy or girl likes, he or she will be able to find it among these popular puzzles. 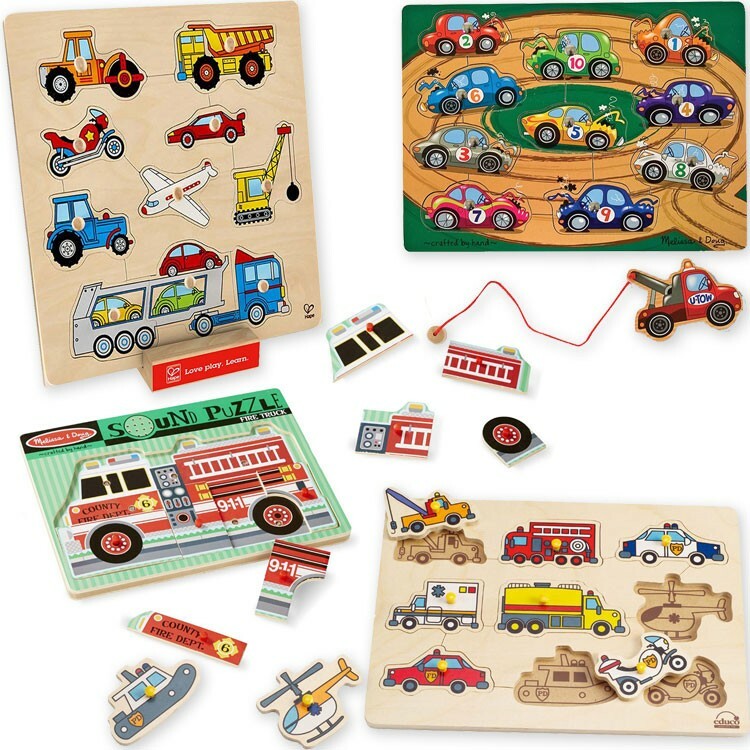 The vehicle theme puzzle set comes complete with the award winning puzzles from the famous toy makers: Emergency Vehicles Peg Puzzle and Vehicles 10 pc Wooden Knob Puzzle by Hape; Tow Truck Game Magnetic Wooden Puzzle and Fire Truck Sound Puzzle by Melissa & Doug. 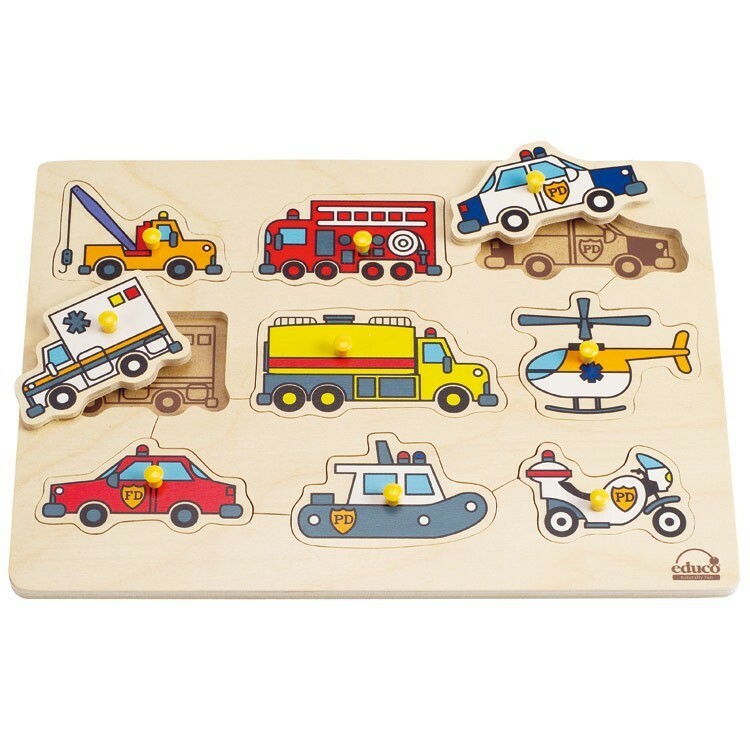 Emergency Vehicles Puzzle includes 9 well-illustrated puzzle pieces that feature important helpful vehicles: 2 different police cars, 2 styles fire engines, an ambulance, an emergency helicopter, a police motorcycle, a tow truck and a police boat. 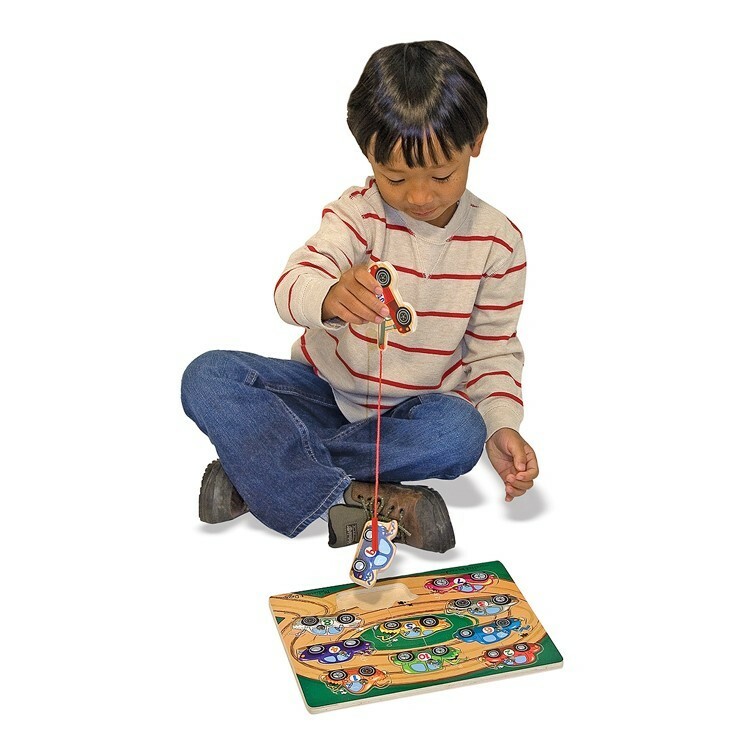 Each wooden piece has a easy-to-grasp peg. 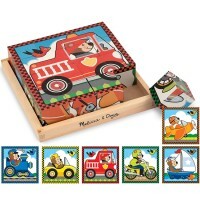 Hape's durable Vehicles Puzzle includes 10 pieces, each with the wooden knob. The preschool car fans will play with the vehicles and find the right parking place for each of the colorful cars and trucks. 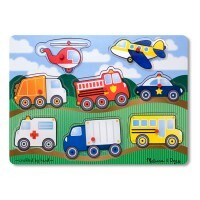 Melissa & Doug's award winning Tow Truck Game is an exciting magnetic puzzle all children will love. The sturdy puzzle board features 10 racing car pieces. All are clearly numbered and waiting for your tow truck driver to tow them on and off the board! It's like car fishing! 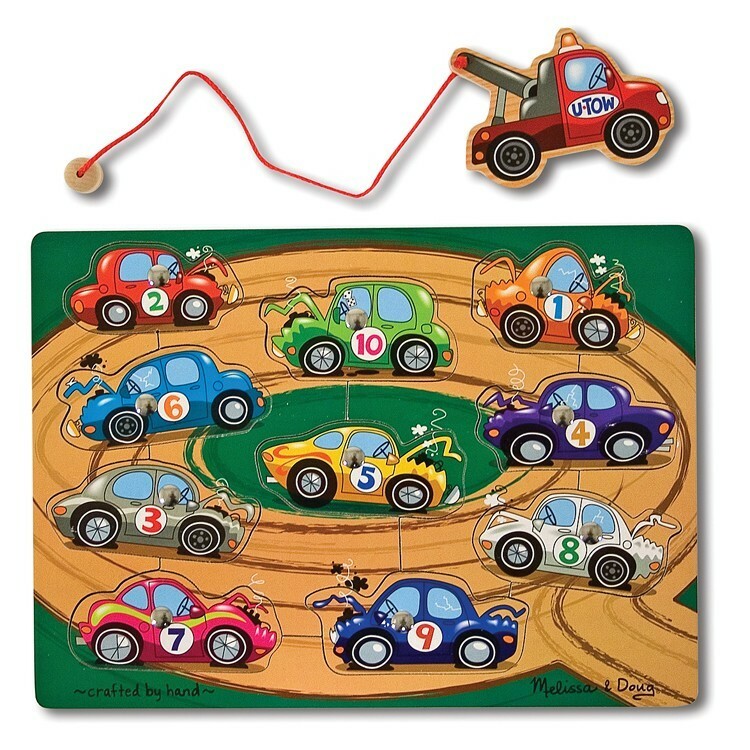 Kids will love using the magnetic tow truck to remove each car, and then piece together the Tow Truck Game Magnetic Wooden Puzzle again. 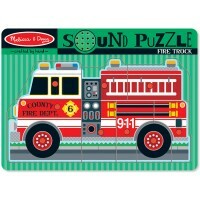 The fire truck puzzle is not just your child's first jigsaw, but a sound puzzle, too! 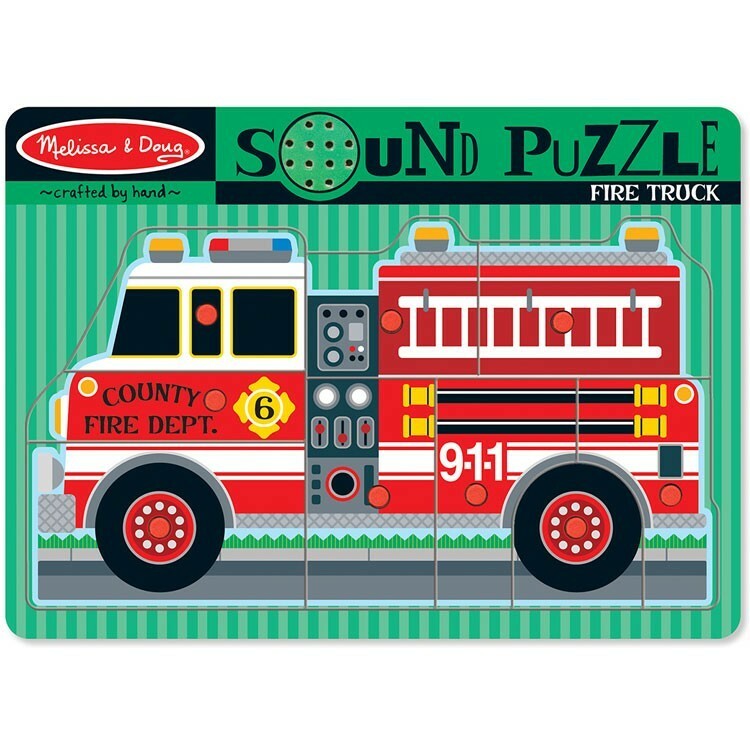 Piece together this vibrant Fire Truck Sound Puzzle and with each wooden puzzle piece placement a real fire engine sound roars! 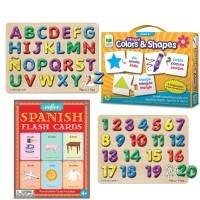 Featuring a sturdy wooden board and vibrant colors this puzzle offered by Educational Toys Planet meets top safety requirements and is super kid-friendly. 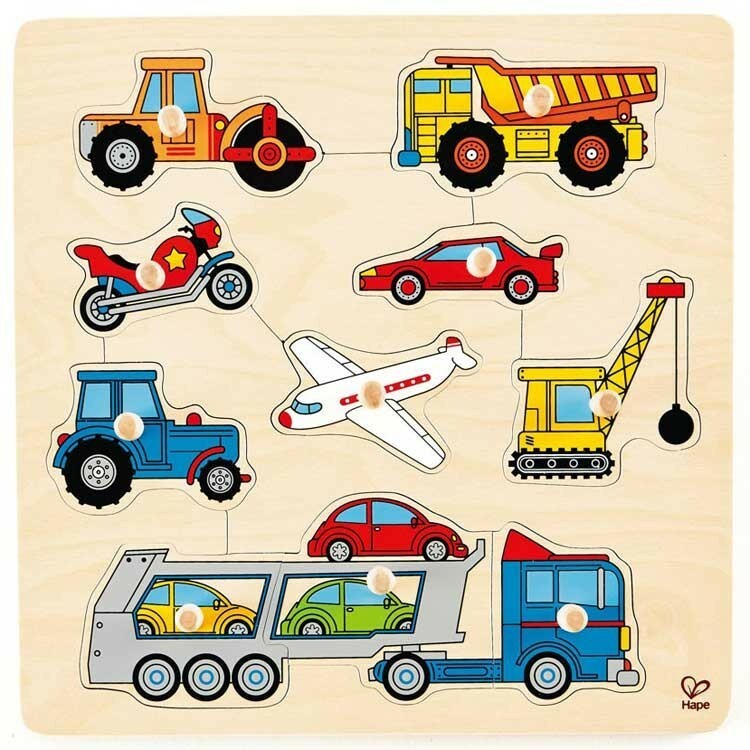 The Vehicle Puzzles 4 Wooden Puzzles Kit for 2-3 years is a terrific play idea for home, daycare center, doctor's waiting room, children library, or therapy classroom. 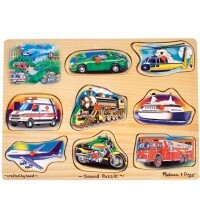 Dimensions of package 12" x 12" x 6"
Write your own review of Vehicle Puzzles 4 Wooden Puzzles Kit for 2-3 years.